Please have a look to our latest flyer ! Methyl-specific isotope-labelling techniques have paved the way for the characterisation of large proteins and protein complexes by biomolecular NMR spectroscopy.The methyl group is an ideal probe for NMR studies of the structure, dynamics and function of high molecular weight proteins. NMR-Bio manufactures and distributes patented precursors for the production of [13C, 1H]-labelled proteins. 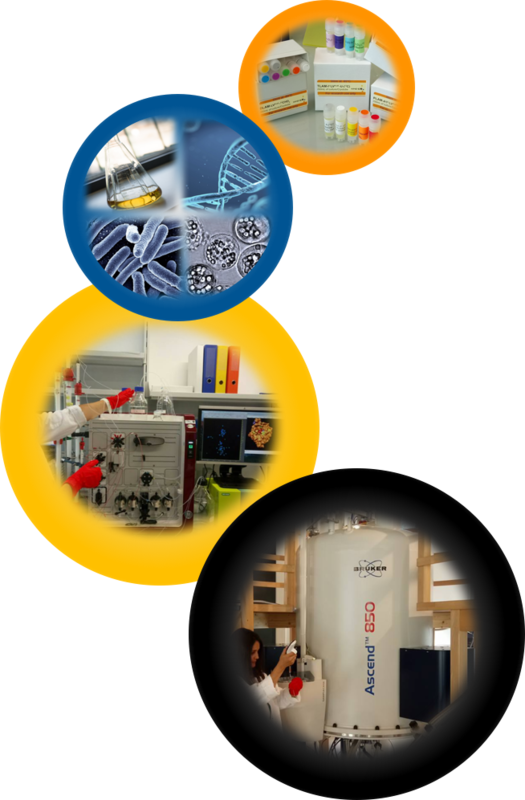 We also offer a broad range of customized biomolecular NMR related services ranging from the customized production of isotopically labelled protein (in E.coli, insect cells and Cell-Free) to the High-field NMR data acquisition and analysis (e.g. quality control, spectra assignment, structure calculation, dynamic characterisation).